You cannot have one without the other, so why not pick a combined mattress-and-bed design that makes a much bolder statement than either could hope to do on its own? 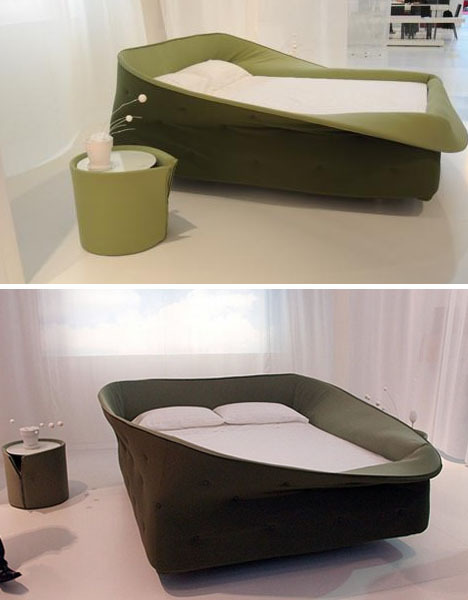 Though the left image is a bit of photo-editing fancy the right image depicts a patchwork-quilt bed-plus-mattress set where the frame is virtually non-existent and the headboard is simply an curved extension of the mattress. 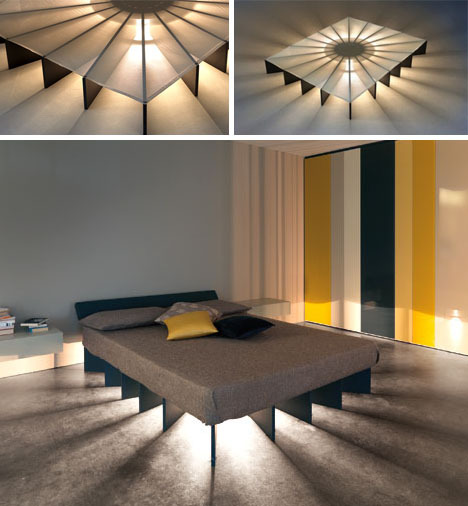 Lago is a company that is constantly pushing the boundaries of bedroom furniture design. 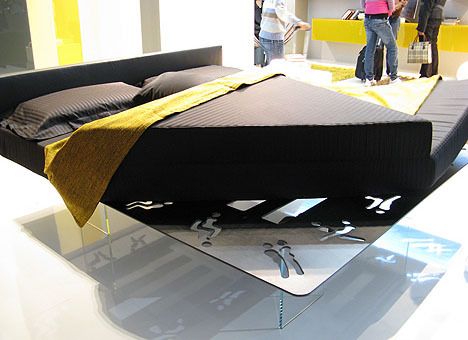 Not your normal hideaway bed to be sure: the sleeping piece above is designed to let you hide yourself instead of the bed, selectively flipping up or down the soft sides for extra leg room or a more comfortable, cozy and enclosed feeling. It looks like a simple, modern, metal-framed loft bed but fold up the corner at a critical built-in crease and there are a sequence of rather, um, adult scenes unfolding below (no pun intended).